NOTE: Your current data in Zoho CRM might need to be remapped before syncing with our integration to avoid conflicts. Please contact us if you want to map existing data in Magento 2 and Zoho CRM. Waste no more resources on exporting then importing data with spreadsheets manually. With our Magento 2 Zoho CRM Integration, data will be imported from automatically and precisely to Zoho CRM system. This extension not only helps you save time but also expands your business. Connect Magento 2 and Zoho CRM with just your Zoho CRM Credentials, no complicated setup process required! Afterwards, select the wanted synchronization mode, set up field mappings from Magento 2 to Zoho CRM and you are set for life. 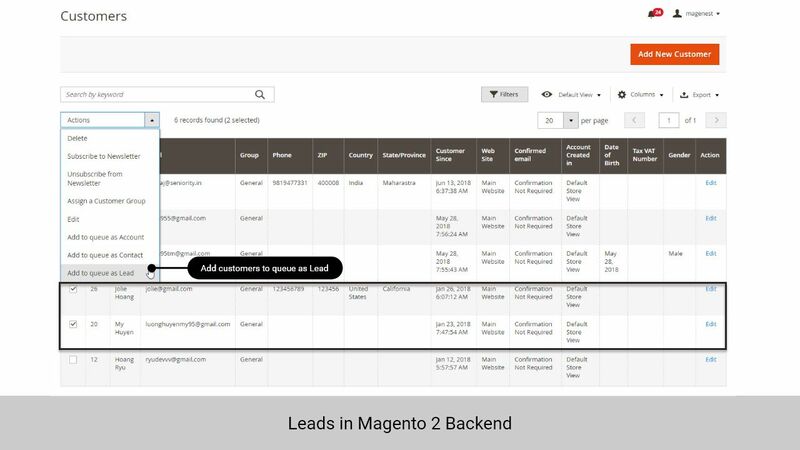 Magenest Zoho CRM Integration supports more than 90 default fielts from Magento 2. 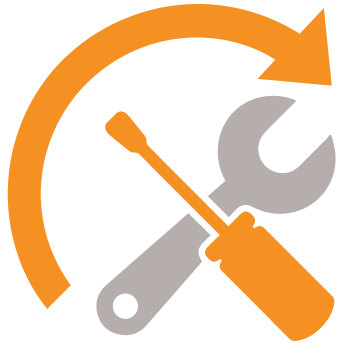 If your Magento 2 instance has customized fields we can provide Customization Service to make our Extension adapt to your system. There is no limit when it comes to integration with Magenest. Magenest Zoho CRM Integration offers three ways for you to synchronize your data: Automated, Cron Job and Manual. 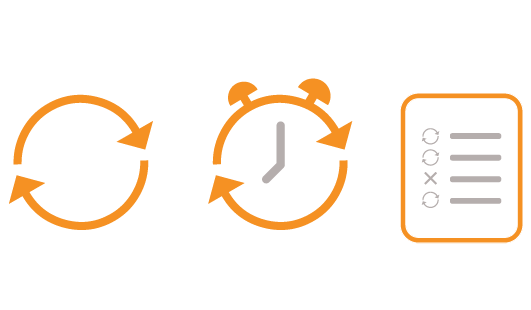 Automated Sync will copy your data immediately from Magento 2 to Zoho CRM when they are created or changed. 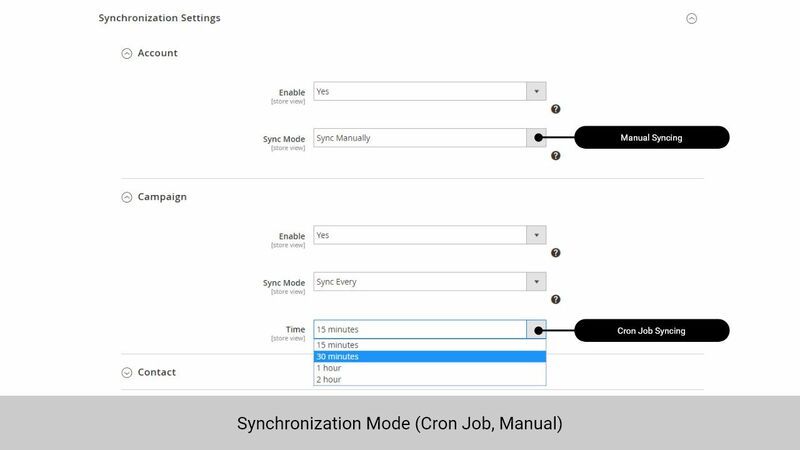 Cron Job Sync will put any new and changed data into a queue list and synchronize them after a set of interval (This option is recommended if you have a lot of orders per day). Manual Sync will allow you to choose one or many specific types of data to synchronize. All to-be synced data will be added to the queue, at the Queue page, data that you do not want to sync can be removed. 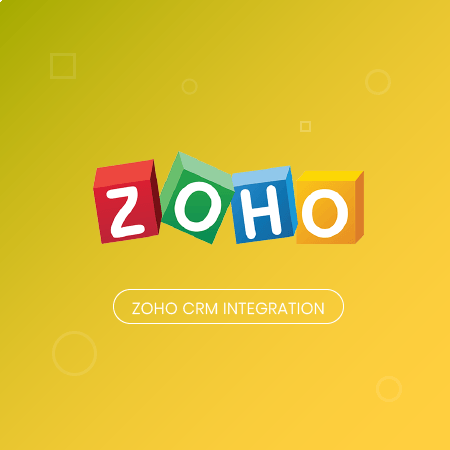 Our Zoho CRM Integration can synchronize Simple, Virtual and Downloadable Products from Magento 2 to Zoho CRM. Products information is also linked to Sales Orders and Invoices that contain them. For other types of Product i.e: Configurable Products, Bundle Products or any other Products that are generated by another extension, please contact us to use our Customization Service. 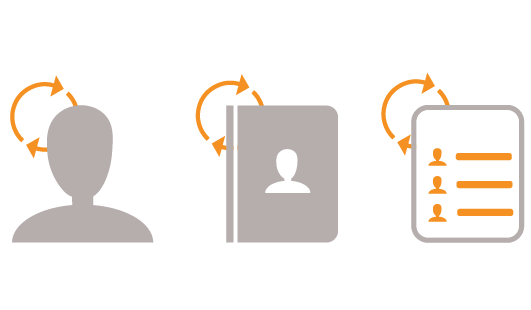 Customers from Magento 2 will be synced into Leads, Contacts or Accounts based on their behavior. When Users create an account on Magento 2, they will be synced to Leads in Zoho CRM. After Users edit their Account information, they will be synced to Contacts in Zoho CRM. 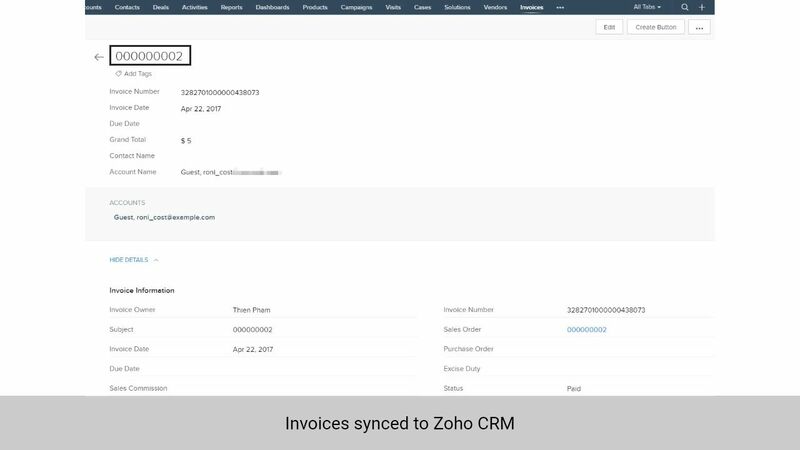 Users with existing order or just make a purchase will be synced to Accounts in Zoho CRM with all the Orders attached to them. 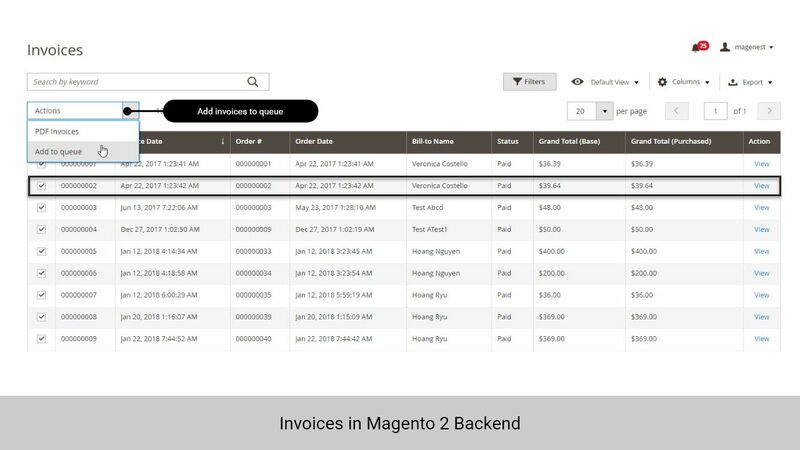 Orders and Invoices from Magento 2 will be synced into Zoho CRM Sales Orders with the corresponding Customers and Products when they are created or changed. Orders will also be linked to Customers that own them. For other types of Orders such as Purchase Order, Quote or any other Orders that are generated by another extension, please use our Customization Service. 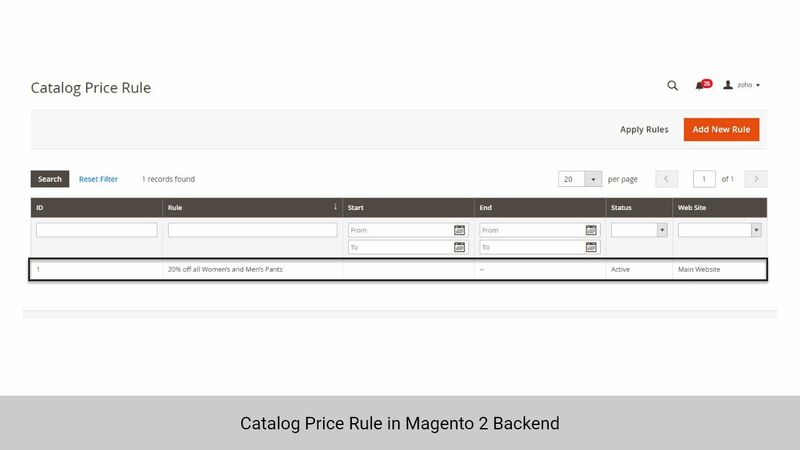 Synchronize Magento 2 Catalog Price Rules into Zoho CRM Campaigns. All the old, new and future Catalog Price Rules will be synchronized which enables you to keep records and plan for new Campaign. 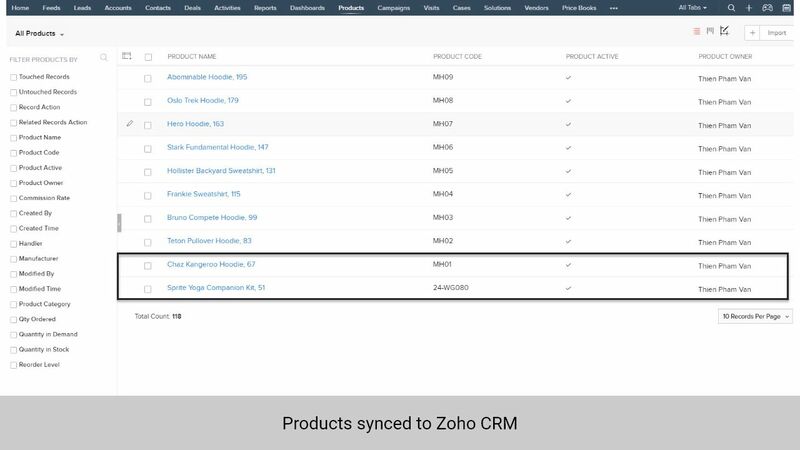 With the Field Mapping feature, after choosing a Zoho CRM module, you can select the field in Magento 2 and the field in Zoho CRM where you want the data to be synced to. This means you can sync one field in Magento 2 to multiple fields in Zoho CRM. This Extension support 90+ default fields, click here to see the full list of the supported fields! Check your Synchronization Records during a certain period and find records by Zoho ID. Zoho CRM is known for its flexibility to create custom fields and splendid inventory management. Let us bring the same freedom of usage to your eStore! - Compatible with Magento Open Source 2.2 - Compatible with Magento Commerce 2.2 ## [2.1.0] - 2018-07-20 1. Rework mapping. 2. Add field Action in View Report. 3. Add button, queue Process in Queue Page. 4. Add field status in Queue. 5. Update ZohoApi v2 and Reword config setup. 6. Add Sync mode daily. 7. 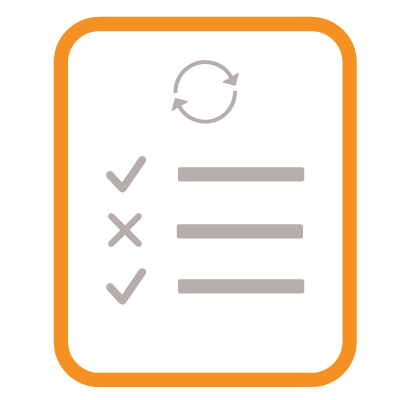 Add to Queue MassAction in Products listing, Order listing, Customer listing, Invoice listing. 8. Add Queue log in product view, order view, customer view. 9. Fix Bug. ## [2.0.0] - 2017-10-26 - Compatible with Magento Open Source 2.2 - Compatible with Magento Commerce 2.2 ## [1.1.1] - 2017-07-05 - Compatible Magento 2 Commerce (Enterprise Edition) ## [1.1.0] - 2017-03-14 ### Added 1. Allow synchronizing and updating All Contacts from Magento 2 store into ZohoCrm. 2. Allow synchronizing and updating All Leads from Magento 2 store into ZohoCrm. 3. Allow synchronizing and updating All Accounts from Magento 2 store into ZohoCrm. 4. Allow synchronizing and updating All Products from Magento 2 store into ZohoCrm. 5. Allow synchronizing and updating All Orders from Magento 2 store into ZohoCrm. 6. 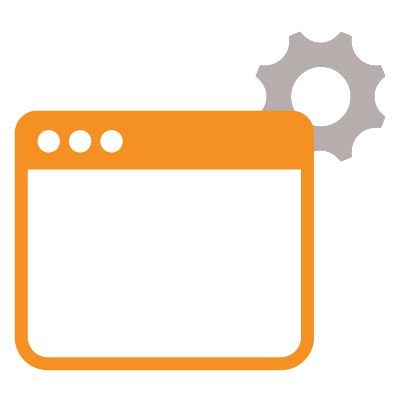 Allow synchronizing and updating All Campaigns from Magento 2 store into ZohoCrm. 7. 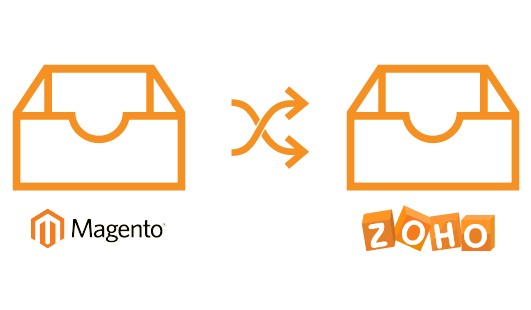 Allow synchronizing and updating All Data from Magento 2 store into ZohoCrm. 8. 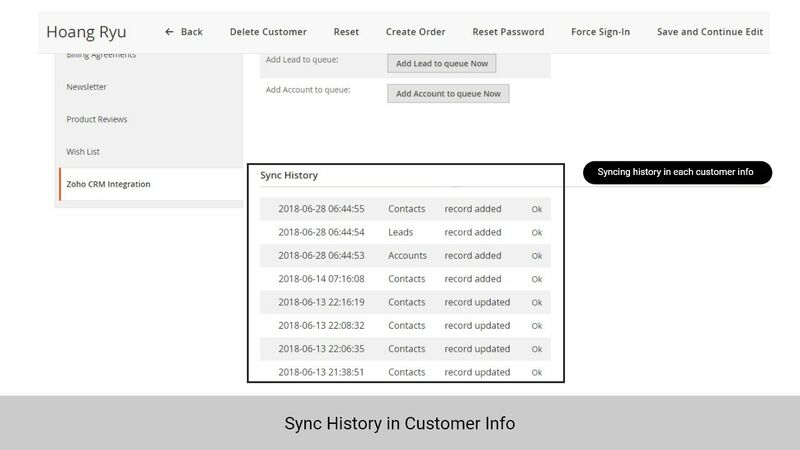 Allow seeing sync information and sync a single Customer. 9. 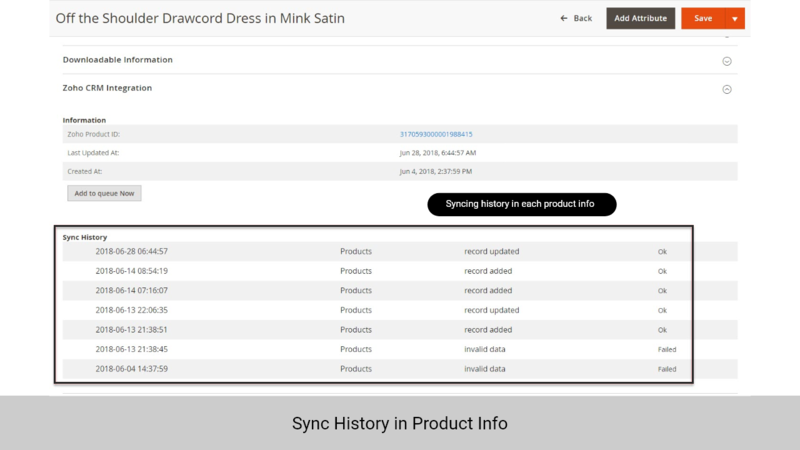 Allow seeing sync information and sync a single Product. 10. 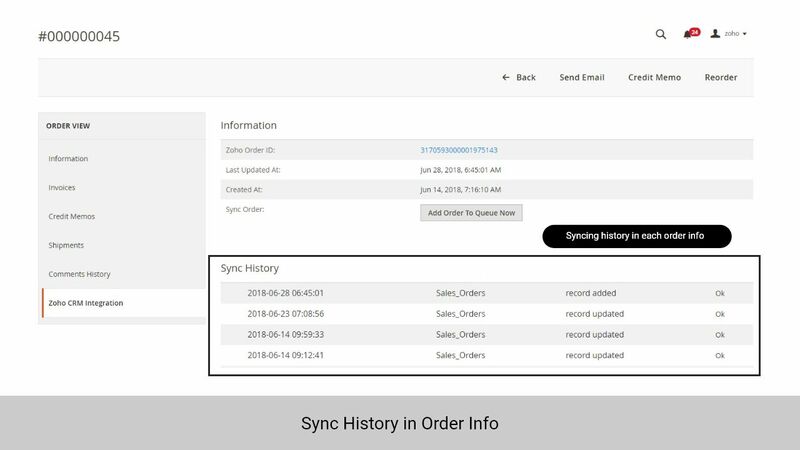 Allow seeing sync information and sync a single Order. 11. Add queue mode. 12. Allow choosing auto sync or add to queue sync. 13. Allow checking report of daily requests. 14. Allow add all Customers, Products, Orders, Invoices, Credit Memos to Queue.  ## [1.0.0] - 2016-06-23 ### Added 1. 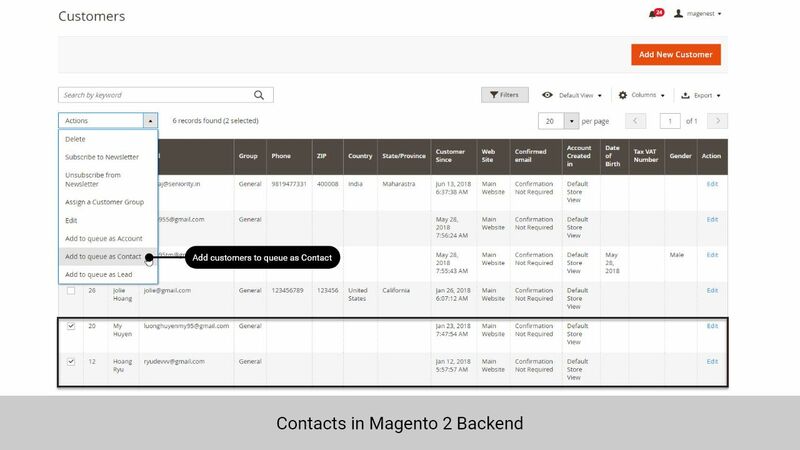 Allow synchronizing and updating Contacts from Magento 2 store into ZohoCrm. 2. 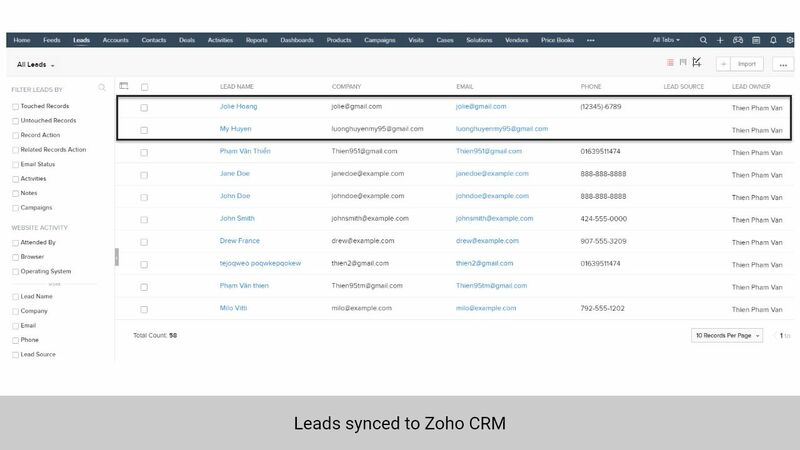 Allow synchronizing and updating Leads from Magento 2 store into ZohoCrm. 3. 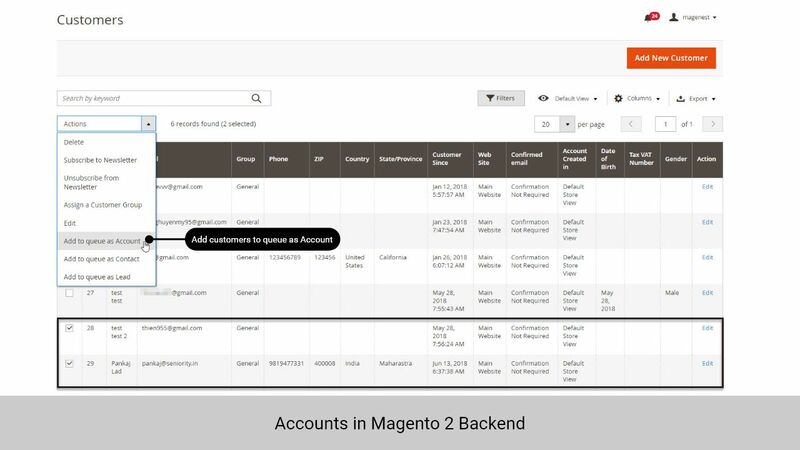 Allow synchronizing and updating Accounts from Magento 2 store into ZohoCrm. 4. 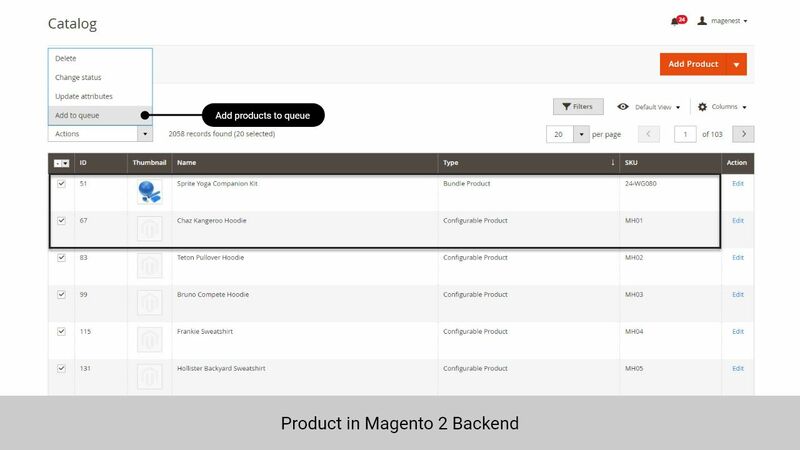 Allow synchronizing and updating Products from Magento 2 store into ZohoCrm. 5. 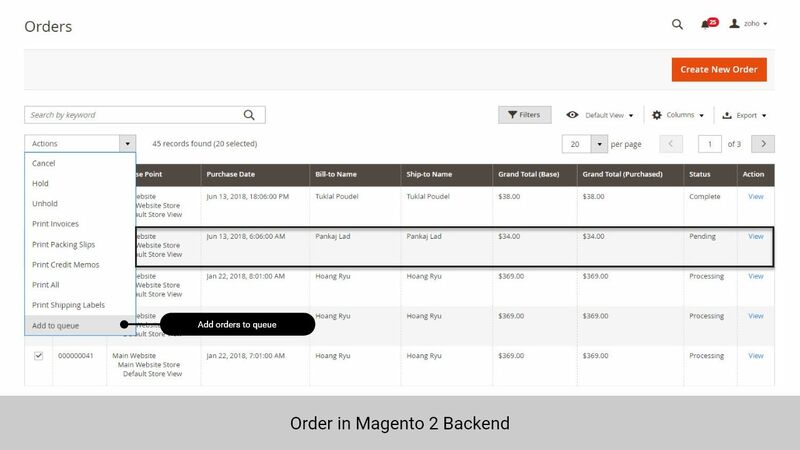 Allow synchronizing and updating Orders from Magento 2 store into ZohoCrm. 6. 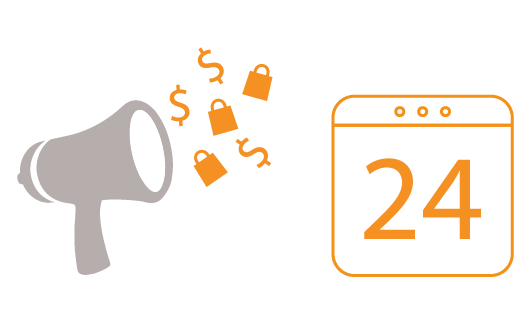 Allow synchronizing and updating Campaigns from Magento 2 store into ZohoCrm. 2. Add field Action in View Report. 3. Add button, queue Process in Queue Page. 4. Add field status in Queue. 5. Update ZohoApi v2 and Reword config setup. 6. 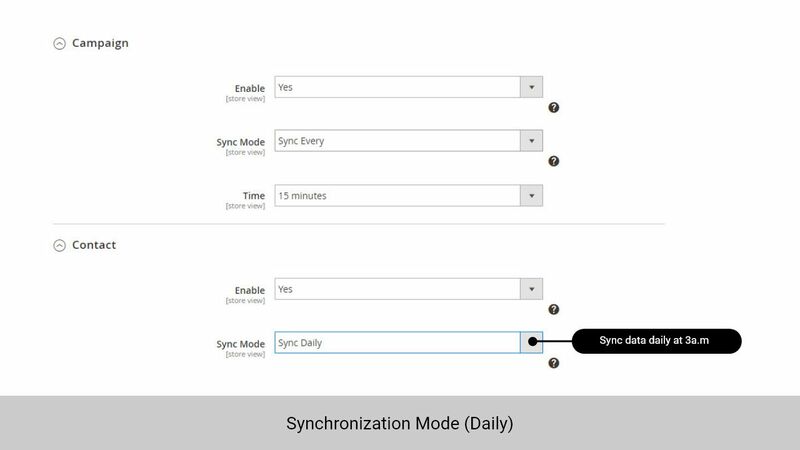 Add Sync mode daily. 7. 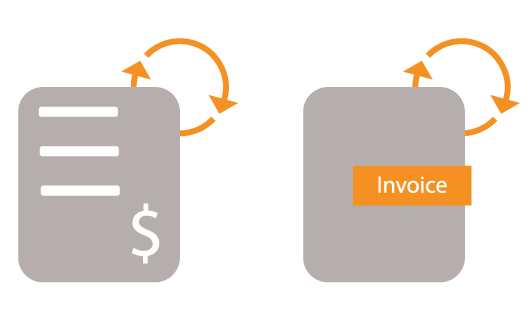 Add to Queue MassAction in Product listing, Order listing, Customer listing, Invoice listing. 8. Add Queue log in product view, order view, customer view. - Compatible with Magento Open Source 2.2. - Compatible with Magento Commerce 2.2. 1. Allow synchronizing and updating All Contacts from Magento 2 store into ZohoCrm. 2. Allow synchronizing and updating All Leads from Magento 2 store into ZohoCrm. 3. 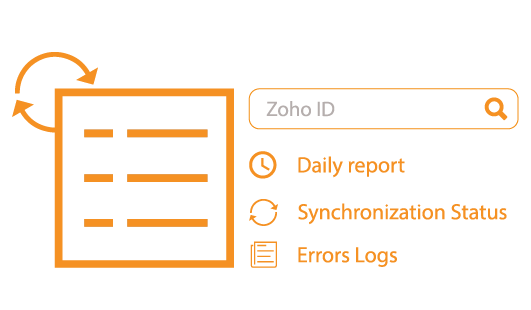 Allow synchronizing and updating All Accounts from Magento 2 store into ZohoCrm. 4. Allow synchronizing and updating All Products from Magento 2 store into ZohoCrm. 5. Allow synchronizing and updating All Orders from Magento 2 store into ZohoCrm. 6. 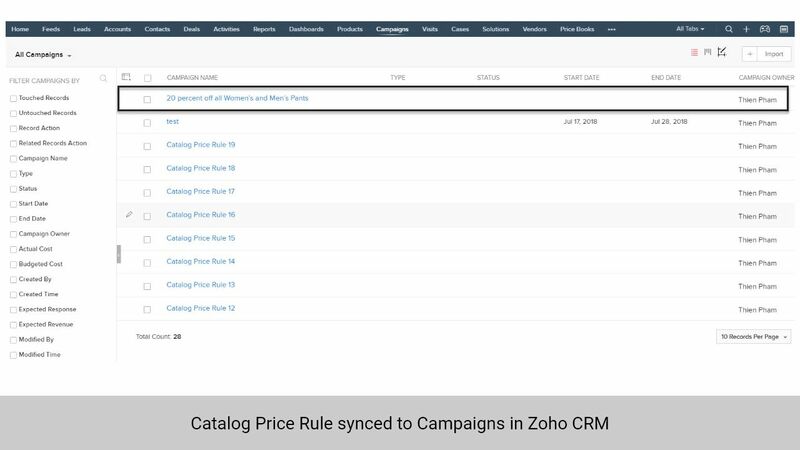 Allow synchronizing and updating All Campaigns from Magento 2 store into ZohoCrm. 7. Allow synchronizing and updating All Data from Magento 2 store into ZohoCrm. 1. 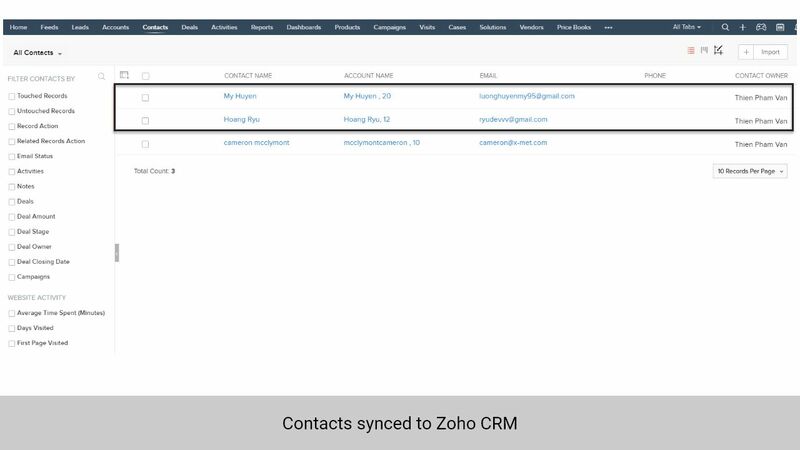 Allow synchronizing and updating Contacts from Magento 2 store into ZohoCrm. 2. 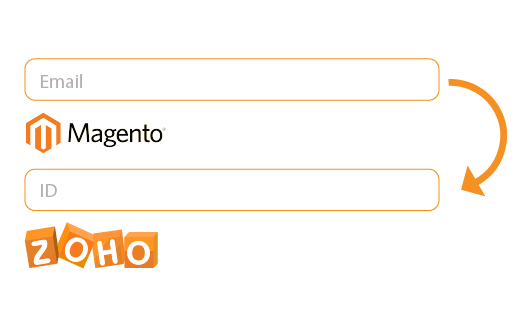 Allow synchronizing and updating Leads from Magento 2 store into ZohoCrm. 3. 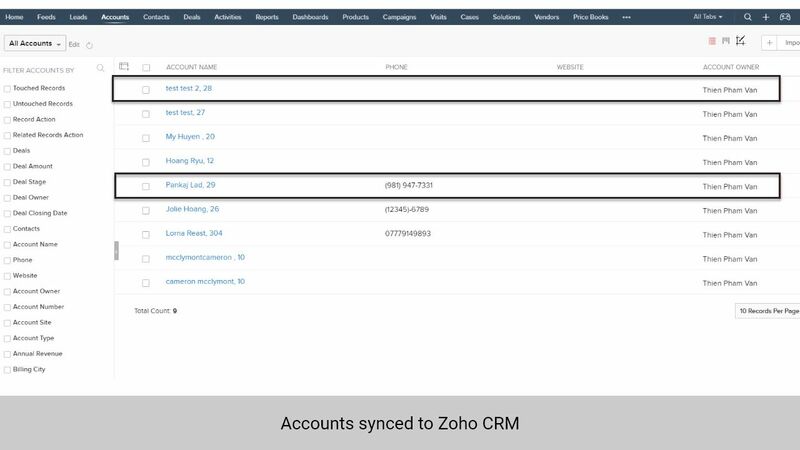 Allow synchronizing and updating Accounts from Magento 2 store into ZohoCrm. 4. Allow synchronizing and updating Products from Magento 2 store into ZohoCrm. 5. 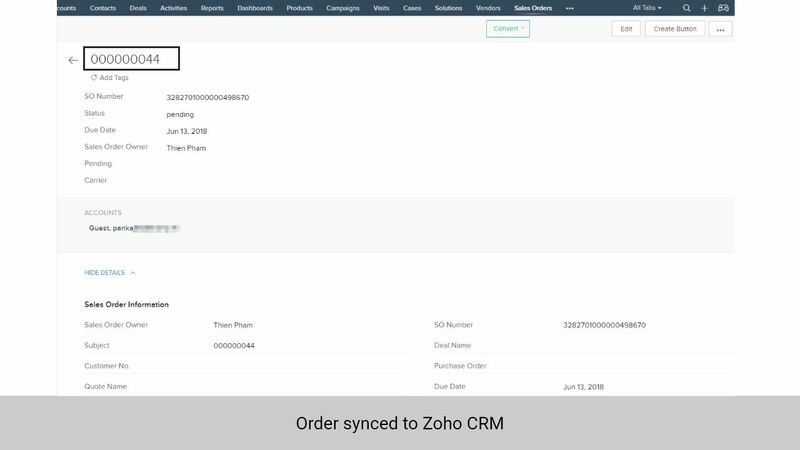 Allow synchronizing and updating Orders from Magento 2 store into ZohoCrm. 6. Allow synchronizing and updating Campaigns from Magento 2 store into ZohoCrm.